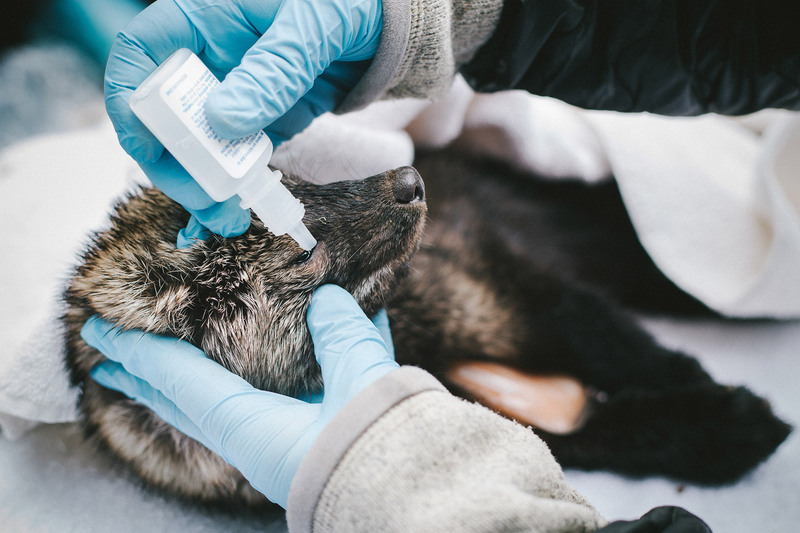 Research assistants apply lubricating drops to the eyes of a sedated Pacific fisher during collaring. The southern High Sierra population of Pacific fisher numbers at fewer than 400 individuals. Biologists have been tracking fishers as part of an ambitious pre-listing effort. It was these efforts that first tipped scientists off to the harmful environmental impacts of marijuana when they stumbled across fishers that had been poisoned.